I'm linking up with Sugar and Spice for another round of "Wordless Wednesday!" I hope you'll hop on over and link up with us to share your "Wordless Wednesday" post! We are required to post our learning objectives/essential questions in my district. 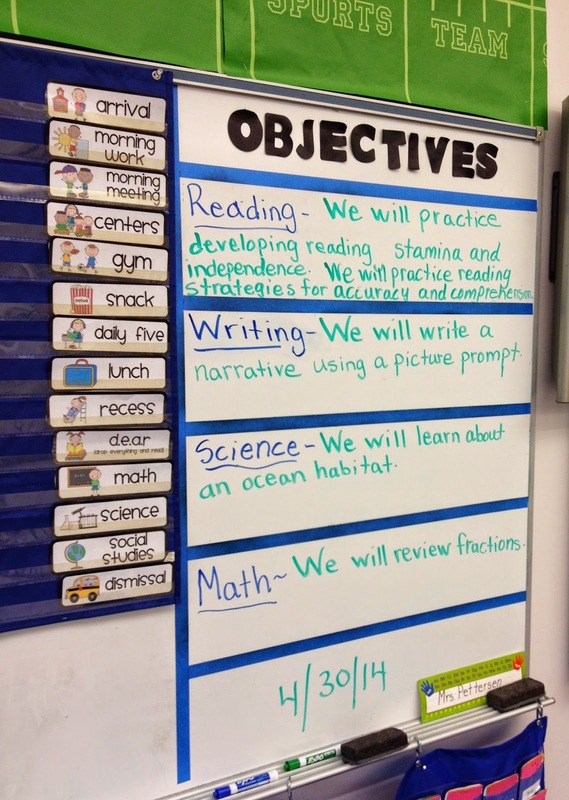 Do you post your learning objectives each day? If so, how do you do it? We are required to list I Can statements. I have found some good ones on TpT and I just hang them up in a small pocket chart. I can usually change them weekly. Those are great ideas, ladies! Thanks for sharing! Great ideas! I'm always looking for a better way to post my objectives! !